QUE REACTIVA LAS FUNCIONES DE CADA UNO DE LOS MIEMBROS DEL COLEGIO EN TORNO A UNA VIDA COMUNITARIA CON UN PROPÓSITO FUNDAMENTAL: MEJORAR EL APROVECHAMIENTO ESCOLAR. QUE CADA ACTOR NO SOBRECARGA SUS TAREAS, SINO PUNTUALIZA SU CUMPLIMIENTO BAJO OBJETIVOS CONCRETOS. QUE SE SUSTENTA EN LOS PRINCIPIOS DE CAMBIAR DE ACTITUDES (DIALOGUICIDAD, INCLUSIVIDAD, RESPONSABILIDAD Y COMPROMISO) AL INTEGRAR A SUS MIEMBROS, COLABORAR SOLIDARIAMENTE Y TRABAJAR PARA PREVENIR Y NO PARA REMEDIAR. EN LO ACADÉMICO-ADMINISTRATIVO: APOYAR CON TODOS LOS PROGRAMAS INSTITUCIONALES LAS NECESIDADES QUE TIENEN NUESTROS ESTUDIANTES PARA SALVAR LOS RETOS QUE ENFRENTA EL APROVECHAMIENTO ESCOLAR. LOS LOGROS SUBJETIVOS QUE NO SON MEDIBLES CON ÍNDICES SE OBTENDRÁN CON CAMBIOS SIGNIFICATIVOS DE CONDUCTA EN LA INTERACCIÓN SOCIAL QUE NOS PERMITIRÁ REACTIVAR LA VIDA COMUNITARIA DEL COLEGIO DE CIENCIAS Y HUMANIDADES. 1. ES UN PROGRAMA QUE REACTIVA LAS FUNCIONES DE LA COMUNIDAD DEL CCH EN TORNO A UN ESPÍRITU Y PROPÓSITO FUNDAMENTAL: MEJORAR EL APROVECHAMIENTO ESCOLAR DE NUESTROS ESTUDIANTES. AL NO PERDER SU CARÁCTER DE ESTUDIANTE SI CUMPLE CON EL PROCESO EDUCATIVO QUE ENCABEZAN LOS PROFESORES EN EL AULA A TRAVÉS DE SUS PLANES DE CLASE. AL DERIVAR Y ATENDER SU PROBLEMÁTICA PSICOSOCIAL Y ACADÉMICA CON EL APOYO INSTITUCIONAL, CON LA MEDIACIÓN DE LOS TUTORES. 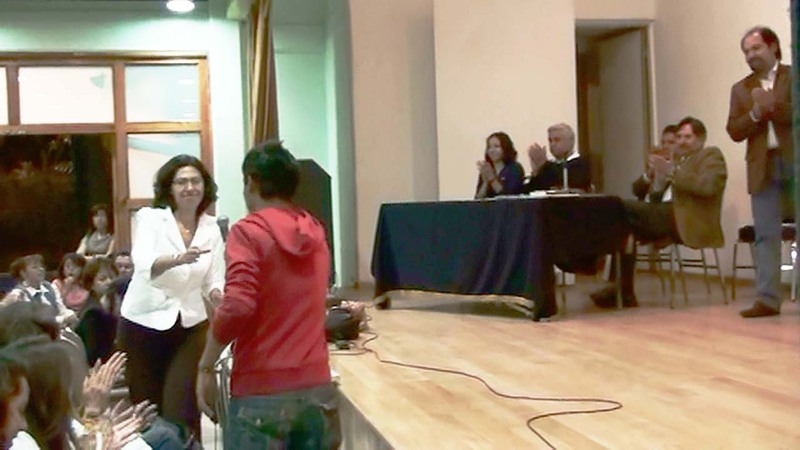 AL RESPONDER A LAS EXPECTATIVAS DE FORMACIÓN DE SUS PADRES. A ÉL MISMO AL OBTENER LOS LOGROS DE APRENDIZAJE QUE LE ABRIRÁN PUERTAS EN LA VIDA, EN EL TRABAJO Y EN LA CONTUACIÓN DE OTROS ESTUDIOS. 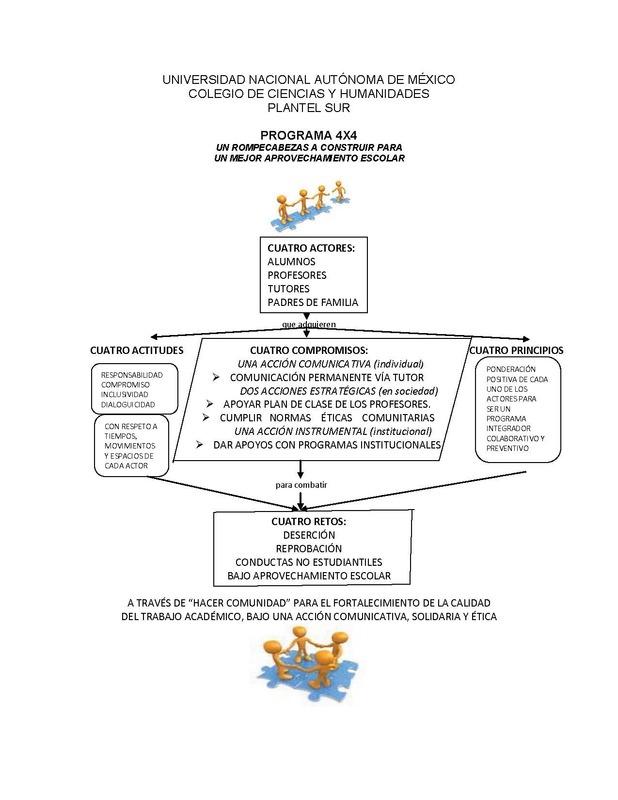 AL ASUMIR SU RESPONSABILIDAD BÁSICA DE DAR A CONOCER A LA COMUNIDAD SU PLAN OPERATIVO DE CLASES, PARA CUMPLIR CON SU PROGRAMA DE ESTUDIOS. AL INFORMAR PRESENCIAL O VIRTUALMENTE A LOS PADRES Y AL TUTOR SOBRE EL APROVECHAMIENTO ESCOLAR DEL ESTUDIANTE EN SU ASISTENCIA, SU CUMPLIMIENTO DE LAS NORMAS ÉTICAS IMPUESTAS PARA EL FUNCIONAMIENTO DE SU CLASE Y EN EL CUMPLIMIENTO DE TAREAS, TRABAJOS Y EVALUACIONES QUE LE SE LE DEMANDA PARA SU APRENDIZAJE. A SÍ MISMO EN CUANTO AL CUMPLIMIENTO DE LOS REQUERIMIENTOS OFICIALES DE ENTREGA DE PROYECTOS E INFORMES DE TRABAJO, QUE SE SATISFACEN EN CLASES CON EL SEGUIMIENTO DE SUS ALUMNOS Y SU EVALUACIÓN EN MATERIA DE LOGROS DE APRENDIZAJE. AL SER EL ENLACE NECESARIO PARA LA COMUNICACIÓN COMUNITARIA CON CADA UNO DE LOS ACTORES AL DIALOGAR PERMANENTEMENTE CON ELLOS PARA SOLVENTAR LA PROBLEMÁTICA QUE IMPIDE EL BUEN DESEMPEÑO DE LOS ESTUDIANTES. AL CANALIZAR A LOS ESTUDIANTES A LAS INSTANCIAS DEBIDAS PARA RECIBIR LOS APOYOS INSTITUCIONALES POSIBLES Y NECESARIOS. AL CONFORMAR UN EQUIPO DE TRABAJO CON LOS PROFESORES, EN UNA LABOR COMPLEMENTARIA DE ATENCIÓN A PROBLEMÁTICAS EXTERNAS AL PROCESO DE APRENDIZAJE EN EL AULA. AL INFORMAR POR MEDIOS PRESENCIALES Y ELECTRÓNICOS A LOS PADRES DE FAMILIA SOBRE LOS LOGROS Y TROPIEZOS DE SUS HIJOS EN EL PROCESO EDUCATIVO. 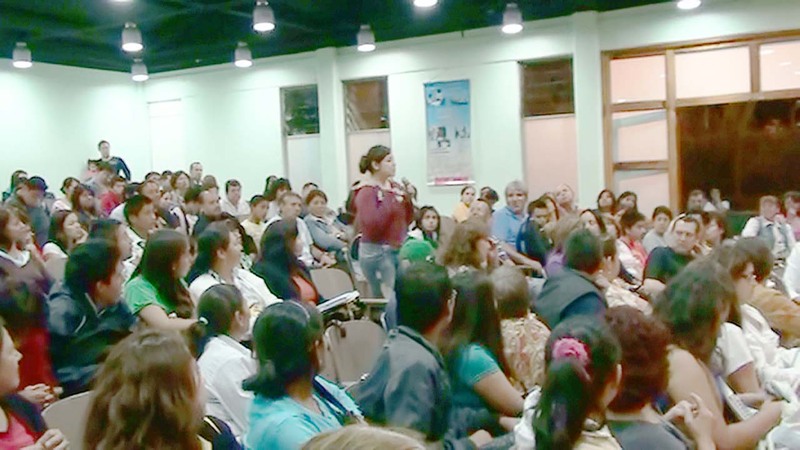 AL CONOCER EL PLAN DE CLASES DE LOS PROFESORES DE SUS HIJOS Y APOYAR DICHO PLAN EN CASA PARA SU DESARROLLO Y CUMPLIMIENTO. AL MANTENER LA COMUNICACIÓN CON EL CCH POR LA VÍA DE LOS TUTORES. AL PROPORCIONAR A SUS HIJOS EL APOYO NECESARIO PARA QUE NO FALTEN, CUMPLAN SU TRABAJO Y SEAN CADA VEZ MEJORES ESTUDIANTES. AL SOLIDARIZARSE CON LOS OTROS PADRES Y LA INSTITUCIÓN EN LAS MEDIDAS PREVENTIVAS Y CORRECTIVAS QUE ESTÉN DAÑANDO EL BUEN DESEMPEÑO ESCOLAR DE SUS HIJOS. 3. ES UN PROGRAMA QUE SOSTIENE COMO ACCIÓN ESTRATÉGICA FUNDAMENTAL EL REACTIVAR LA VIDA COMUNITARIA AL “REESTABLECER EL ESPÍRITU SOLIDARIO DE TODOS LOS ACTORES” DESDE UN CAMBIO DE ACTITUDES, LA ADOPCIÓN DE CIERTOS PRINCIPIOS TENDIENTES A REVALORAR LAS FUNCIONES DE CADA UNO DE ELLOS PARA SU INTEGRACIÓN ENTRE SUS IGUALES Y LOS DEMÁS ACTORES, SU COLABORACIÓN SOLIDARIA Y CUBRIR UN FIN PREVENTIVO MÁS QUE REMEDIAL. LA DESERCIÓN, LA REPROBACIÓN, LA DESVIACIÓN DE FUNCIONES POR CONDUCTAS INDEBIDAS Y EL BAJO APROVECHAMIENTO ESCOLAR QUE SE REFLEJAN EN CALIFICACIONES MÍNIMAS, APRENDIZAJES DEFICIENTES, E INDICES NADA GRATIFICANTES INSTITUCIONALMENTE DE RENDIMIENTO ACADÉMICO EN ASIGNATURAS, ÁREAS Y EGRESO DE ESTUDIANTES. APOYO DE TODOS LOS ACTORES AL PLAN DE CLASES DE CADA PROFESOR, CON LO QUE LO ACADÉMICO ES LO ESENCIAL EN EL PROGRAMA Y QUE PRODUCE: COMPROMISO COMUNITARIO DEL PROFESOR CON SU FUNCIÓN Y REACTIVACIÓN DE TODAS LAS FUNCIONES DE LOS ACTORES PARA SU CUMPLIMIENTO. ESTABLECIMIENTO DE LAS NORMAS INTERNAS DE FUNCIONALIDAD DE LAS CLASES EN EL AULA, CON LO QUE LO POLÍTICO SE ESTABLECE DE ANTEMANO POR PARTE DE PROFESORES Y ESTUDIANTES AL FIJAR LAS BASES DE UNA CONVIVENCIA ARMÓNICA QUE HACE POSIBLE EL PROCESO EDUCATIVO. ACUERDO DE RECUPERAR EL ESPÍRITU COMUNITARIO, RACIONALIZANDO EL PROCESO EDUCATIVO POR MEDIO DEL LENGUAJE COMO EXPRESIÓN DEL PENSAMIENTO, CON LO QUE LO ESTE ASPECTO SOCIAL ORIGINA UNA ACCIÓN COMUNICATIVA PERMANENTE COMO PROCESO PRIVILEGIADO Y CORRECTIVO DE TODO EL PROGRAMA PARA EL CUMPLIMIENTO DE SUS FINES. QUE LO ACADÉMICO-ADMINISTRATIVO CONTRIBUYA CON ESE SENTIDO ACADÉMICO, POLÍTICO Y SOCIAL REACTIVANDO TODOS LOS PROGRAMAS INSTITUCIONALES AL SERVICIO DE UNA COMUNIDAD QUE LE DA RAZÓN DE SER A TODOS ELLOS (PIT, PIA, PSI, EDI, EDA, CAD, ETC) Y QUE CON ESOS SENTIDOS LA PROPIA COMUNIDAD RETOMA LOS PROCESOS ADMINISTRATIVOS AL PLANEAR, ORGANIZAR, DESARROLLAR Y EVALUAR LOS RESULTADOS COMO FRUTO DE ESA INTERACCIÓN COMUNITARIA. SUBJETIVAMENTE HAY UN CAMBIO EN LAS RELACIONES SOCIALES DE LA COMUNIDAD QUE ROMPE LA RUTINIZACIÓN Y BUROCRATIZACIÓN DE LOS PROCESOS SACANDO A TODOS DEL AISLAMIENTO INDIVIDUALISTA Y QUE SE VISUALIZA OBJETIVAMENTE EN CAMBIOS DE ACTITUD Y PERSONALIDAD DE TODOS LOS ACTORES PARTICIPANTES.